Support thecogwheel on Ko-fi.com! - Ko-fi ❤️ Where creators get paid by fans, with a 'Buy Me a Coffee' button. A cog or gear is something that moves something else forward. 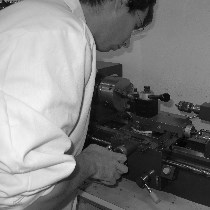 I'm a mechanical designer and manufacturing engineering technologist who has a hobby machine shop. I create in my shop and I hope my work will help you move forward with your projects. Hi everyone. I will be designing and release drawings for home shop machinist tooling and related projects and also release designs and drawings for amateur astronomy. I also make full build videos and post on Youtube. I want to keep the designs and drawings open source. If you want to help me you can do so here. Secured Payments. Support goes to thecogwheel's account.